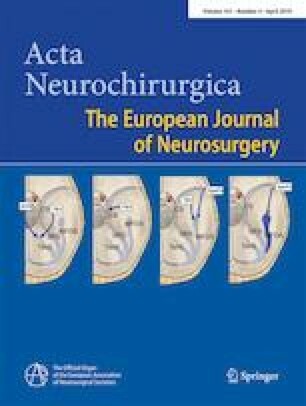 To assess the neuropsychological (NP) functioning and quality of life (QOL) before and 3 months after surgery on adults with Chiari I malformation (CMI). All adult patients who had been diagnosed with CMI were invited to participate. Those who participated were assessed using a Hospital Anxiety and Depression scale (HAD) and NP examinations. Their QOL was assessed using the self-reported life satisfaction checklist, LiSat-11 and the five-dimensional EuroQol measurement of health outcome, EQ-5D-5L. All assessments were carried out both before and 3 months after surgery was performed. Demographic data and comorbidities were also registered. Of the 11 patients who underwent NP assessment, the majority demonstrated cognitive functioning within the normal range. However, postoperatively, their performance in verbal learning, psychomotor speed, colour naming speed and the ability to manage interference through response selection and inhibition (aspects of executive functioning) was significantly improved. Thirteen patients completed QOL assessments. When LiSat-11 item domains were compared with those of healthy subjects, patients reported a lower level of satisfaction with their life quality both before and after surgery. However, the EQ-5D-5L measurements, i.e., the descriptive system and the visual analogue, indicated that their QOL of life was significantly improved after surgery. There is scarcely any literature documenting effects of surgery on the QOL of CMI patients. The study we present here breaks new ground by comparing pre- and postoperative NP functions in CMI. We also examine the value of surgery for improving both NP functions and QOL in CMI. We would like to thank all the patients who participated in this study. Special thanks are also owed to Gudrun Barrows, Clinical Coordinator at the Department of Neurosurgery, Sahlgrenska University Hospital, for her invaluable help with the administration of this study. This research received funding from Rune och Ulla Amlövs Stiftelse för Neurologisk och Reumatologisk Forskning and Göteborg Läkaresällskap (Gothenburg Medical Society). The sponsor had no role in the design or conduct of this research. All authors certify that they have no affiliations with or involvement in any organisation or entity with any financial interest (such as honoraria; educational; participation in speakers’ bureaus; membership, employment, consultancies, stock ownership, or other equity interest; and expert testimony or patent- licensing arrangements), or non-financial interest (such as personal or professional relationships, affiliations, knowledge or beliefs) in the subject matter or materials discussed in this manuscript. The study was approved by the regional ethics board of the University of Gothenburg (Diary nr 865–14) and was carried out following the principles of the 1964 Declaration of Helsinki and its later amendments or comparable ethical standards. This study is interesting as ‘proof of concept’. However, the sample size is too small and there is no matched control group, why the results should be regarded as ‘indications’ rather than established facts. The concept is though very interesting, and this protocol should be used for a larger study to verify the presented results and conclusions.